Many people find paying insurance premiums distasteful — and for good reason. It can be difficult to continue to pay insurance premiums when you don’t actually end up using insurance. However, the point of insurance is to help protect you in the event of an expensive financial catastrophe. Not all types of insurance are necessary, but some types can offer real protection against the high costs of certain unexpected events. Even though health insurance is costly, it is a necessary evil. Health insurance provides you with protection in the event that you have large and unexpected medical bills. While you might be healthy right now, what happens if you are injured and need to go to the hospital? What if you end up developing a chronic condition? (Insurance companies can no longer boot you if you become sick.) Health insurance protects you against these unexpected happenings, hopefully keeping you from going bankrupt trying to pay your bills. If you are healthy, a HSA can help reduce your premium costs. What happens if you are in a car accident and your vehicle — your primary means of transportation — is totaled? How will you pay off the loan? Or replace the car? Insurance can help you cover the costs related to getting a car after your current one is damaged beyond the ability to drive. Another consider is if you cause the accident. You might be liable for someone else’s injuries and property damage. 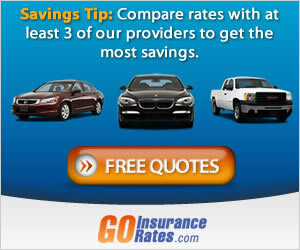 Without the insurance to help you pay those costs, you could find yourself in real financial trouble. Having insurance can help you avoid being completed devastated by a lawsuit stemming from your liability in an auto accident. Get a Free Customized CapWest Mortgage Quote in Minutes! Life insurance is a little different in that it is not meant to benefit you. Instead, it is a way for you to provide for your family if you should pass on. If people rely on you to provide for their needs, it is a good idea to have life insurance so that your family is taken care of after you are gone. There are other types of insurance that can be useful, depending on your situation. Some people find that disability insurance is important to help protect their income. Consider your financial situation, and what you would need in an emergency. Then consider what types of insurance are appropriate for you.